Hello in Dutch language is Hallo. It’s interesting to learn different Dutch greetings. Hello is the Dutch greeting which is suitable in any formal or informal situation. 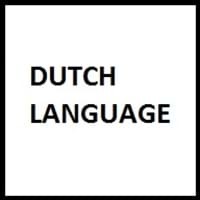 Here you can also check more About Dutch Language. In any language it’s important to learn how to say thank you and sorry in Dutch. Find some common phrases in Best Languages to Learn below. Thank you in Dutch is dankjewel and Sorry in Dutch is sorry. Dutch greetings such as thank you and sorry are used in formal situations. 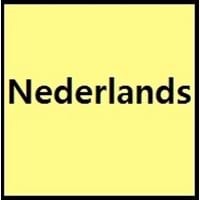 Want to wish Good Morning & Good Night in Dutch? The Dutch greetings like “Good Morning” or “Good Night” are useful to impress or catch attention of anyone around you. By using Dutch greetings, we are showing respect to others in a very efficient way. Good Morning in Dutch is goedemorgen and Good Night in Dutch is goede Nacht. To know more on similar greetings in other languages check Dutch vs Chinese, Dutch vs Spanish, Dutch vs French. Get to know here what is bye in Dutch. Bye in Dutch language is vaarwel. In some languages, they say bye and in some they say good-bye. Dutch greetings help to communicate in different places at various situations. Here are some other Dutch greetings which will be useful while communicating in Dutch. Please in Dutch is alsjeblieft. Good Afternoon in Dutch is goedemiddag. I Love you in Dutch is Ik hou van jou. Excuse me in Dutch is pardon.